Western Australian Law requires that any individual who has sustained a medical illness or injury that may impact on their ability to drive, are required to notify the Department of Transport (DOT). If you decide not to report a medical condition and you are involved in a traffic incident, you may not be insured and may be prosecuted. 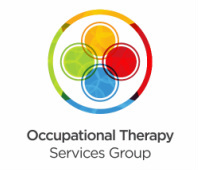 Our specially trained Certified Driver Occupational Therapists can help determine the impact of a person's medical conditions on driving, and facilitate people to begin or return to driving safely & legally following medical illness, injury or disability.